Would you like to connect with your grandkids, but don't know how? Grandmothers Mary Larmoyeux and Nancy Downing offer some fun and easy ideas for making memories with your grandchildren. Whether it's baking cookies or writing notes, these grandmothers say it's never too late to forge a bond with your grandkids that will last a lifetime. Bob: Families are made up of memories and milestones. Mary Larmoyeux is a grandmother who tries to capture those moments for her grandkids. Mary: For probably about five years, I’ve made calendars for Christmas presents; and we have family pictures on it. And then—this helps a whole lot—you have all the grandkids’ birthdays on there. We have when they’re baptized—that goes on the family calendar—anniversaries / real special things. That is just a lot of fun and it also helps Grandma remember birthdays. The grandkids really like it. They are getting big now and some of them want different pictures now on their birthdays. They want me to make it a little more up-to-date instead of using those baby pictures. So it’s just a very fun thing to have. Bob: This is FamilyLife Today for Tuesday, December 22nd. Our host is the President of FamilyLife®, Dennis Rainey, and I’m Bob Lepine. You may be getting a little extra time with your grandchildren in the coming days. We have some thoughts for you on how you can maximize that time with your grandkids all year long. Stay tuned. And welcome to FamilyLife Today. Thanks for joining us. You remember a while back we had a couple of grandmas join us on FamilyLife Today and shared some ideas. Dennis: That’s right. Mary Larmoyeux and Nancy Downing join us again. Welcome back ladies. Mary: Thank you for having us. Bob: I didn’t know if we’d have them back because I have this letter—I have two of them! I’ve got one letter from the High Fructose Corn Syrup Advisory Board. They just wanted to commend us on the program that we had done previously. Bob: You had talked about enough sugar on that show that they wanted to give you a certificate / an award of merit for all of the sugar mentioning you did. Bob: Well, here’s the other letter that we’ve got from another parent who just wondered how you deal with the grandkids after you’ve sugared them up like that. We are talking about the book called The Grandparent Connection: 365 Ways to Connect with Your Grandchild’s Heart. Nancy and Mary have put this together. We’re going to have a bit of a countdown here of great ideas, that are in the book, that grandparents can seize the day with and make a great memory with your grandkids. I have to say—with our kids scattered in four different states around the country, this right here, is one of our biggest issues. We do not have enough good ideas, just on the spur of the moment, to say: “What can I do that I can do long distance? Well, Mary and Nancy have 365 different ways you can do that—they’re all by month. So you can take the month that you’re in—pick up a holiday and a bunch of great ideas around the Fourth of July, or around Thanksgiving, or Christmas—and find a way to connect with your grandkids. Bob: You said we are going to do a countdown; right? Bob: I think we’ve got the drum roll ready—there it is. [Drum roll] This would be Idea Number 10. Who has idea number 10 on our countdown? Mary: Well, I’ll do Idea Number 10. Mary: One thing I love to do for our grandkids—I love to pray for them. I really do because I feel like I’m investing in their future. I have no idea how God’s going to use those prayers when I won’t see it. In here, I have something about praying and how you can mark in Bibles—mark little things and say, “I prayed for you today.” You can jot down dates of when they were baptized and different things. I truly love FamilyLife’s resource, While They Were Sleeping. I have one of those for every grandchild. I just go through, by the week—you know, one child will get it Monday, the next Tuesday, whatever—I just go through it every day. I write their name and I date it. Sometimes, I don’t do it for a couple of weeks; but it doesn’t matter because whatever I do—it’s better than nothing. I just envision someday them getting those books and just seeing for years, and years, and years a grandparent praying for them. Mary: Everyone has their own. I just keep going through the book—it has the dates. It’s pretty cool, looking back at it now. That’s a great idea!—just to pray for that child, as Mary talked about. Maybe use a Bible that will become a gift, later on, that you can give them. Bob: Alright, the countdown is on. [Drum roll] Here is Idea Number 9, Nancy. I want to share that with my grandson but I also, at the same time, want to teach him to be a good friend. So I think going and teaching him how to be a friend—like modeling how to share / how to play a game—when someone comes over, the company goes first. Those are the kinds of things I hope our listeners will be able to do also. Bob: Alright, time for Idea Number 8 on the countdown. [Drum roll] Mary, this is yours. Mary: Well, one of our ideas is something probably a lot of our listeners have done—just mark how tall your grandchild is on the door. We did that with our kids, and we have a door started for our grandkids. If you have grandkids that live out of town, you can still do it with them—ask their mom or dad, “How tall are they?” and ask them to send that to you—and you mark it on the door. Then you can show them on Skype or—well, on Skype is how I do it—just show them how tall they are and how it’s marked on the door. They like that a whole lot. You can also buy special measuring tapes and things and mail that to them, long distance, just so they’re in the process of this special thing that they’re doing with their grandparents. “How are you growing? How are you doing? You can always talk to Grandma/Grandpa about anything you want.” Always be available. I think there’s something that we, as grandparents, need to realize—a certain power we possess that parents don’t—we can kind of hang in there with them and don’t have to feel obligated to teach, or instruct, or challenge, or correct like the parents have to do. Maybe there’s a grandparent who’s listening right now who needed to hear that. Dennis: It’s now up to the Top 13, Bob. Bob: Number 7, here we go. [Drum roll] And that’s you, Nancy. Nancy: One thing that I think is awesome is furniture that’s been passed down from generation to generation. I have a rocking chair that my grandmother rocked my mother in. Then she passed that to my mom, and my mom rocked all four of us. Then my mom passed it to me, and I rocked all three of my children. Now, my daughter is rocking her child. Mary: I’d say magazine subscriptions. You can order a magazine subscription for your grandchild and order the same one for you. If they live out of town, you can be reading them the same articles—you can be asking them questions about it. You can show pictures on Skype together. You can read it to the little ones while they’re looking at their magazine—you have the same one. So that’s something fun that we’ve done. Bob: I know World Magazine has a magazine for children—God’s World Magazine—that could be the kind of thing you’d use. Mary: Yes, it does. And also, Focus on the Family® has Club and Clubhouse Junior—those are excellent. We get the Creation Magazine—it’s Christian—and it’s supposedly like the Christian view of National Geographic on a smaller version. Mary: This isn’t a Christian magazine—but Ranger Rick—they love Ranger Rick. Bob: Ranger Rick! We loved our Ranger Rick when our kids were little too. Dennis: Give me an idea of what a clue might be. Nancy: “The object that is in here is bigger than a phone,” or “The object in here is bigger than a blender,” so that they would get the size because you could have a great big box and have a smaller thing inside; okay? Bob: So—not just get a gift and send it off to them, but build a little mystery / a little intrigue. Bob: Milk that for a while. Bob: I like that a lot too. Yes, that is good. Bob: Have you done that? Nancy: No, I’ve altered this a little bit. My grandson was having trouble at school with his behavior. I went and bought the Cootie® game—I had all the bodies wrapped up, I had all the legs wrapped up, all the heads wrapped up. Then each day, when he came home from school, if he had good behavior, he got to pick which one of those different presents he wanted to open. Then on Friday, all the game pieces would be out so that he could play the game. Mary: I’ll say calendars / family calendars for Christmas presents. We have family pictures on it—and then you have—and this helps a whole lot—you have all the grandkids’ birthdays on there. We have when they’re baptized—that goes on the calendar—anniversaries / real special things. That is just a lot of fun; and it also helps Grandma remember birthdays, to tell you the truth. The grandkids really like it. They’re getting big now and, recently, one of our grandkids was talking about—really two of them—they were talking about pictures they want on next year’s calendar. Some of them want different pictures now for their birthday pictures. They want me to make it a little more up-to-date instead of using those baby pictures. So it’s just a very fun thing to have. Bob: So is this a calendar you keep at your house and you use or do you send it to the grandchild? Mary: Everybody gets one—my mother got one / all the kids. Mary: That’s a great idea! Mary: I’m going to do that! I’m going to do it. Dennis: You may need a small computer program to be able to pull that off. [Laughter] I was also thinking, as you were talking about it—if you really wanted to get kind of exotic with this—is take some really fun weird/goofy pictures of Grandpa and Grandma and have some kind of scavenger hunt that occurs all the way through the year for all the families. Just figure out how you might execute it with your grandkids being where they are and you where you are. Bob: If you had a dozen pictures of Grandma and Grandpa in costumes—you know, with beards, or with funny hats, or whatever else—just use those. You’ve got to think that the kids would like that—they’d keep that for years. Bob: Can’t see them a month in advance. Dennis: —they can’t get them a month in advance. Bob: Alright here we go—Number 3. Here we go! [Drum roll] This is yours, Nancy. Nancy: Using that same idea about the pictures— you can go get any family pictures and have them blown up to 8x11. Then go and have them laminated—you can do that at any school supply store. Then go and glue them to a piece of cardboard or poster board. Turn the picture over so all you see is the poster board. Then draw lines to make places where you’ll cut for puzzle pieces. You can use those for presents—you can cut them up / put them in a bag. My grandson and I have done this for Mother’s Day and for Christmas—to give his mother her present. He would take the pieces and hide them around the house. Then he would give clues for each piece, and she would have to go find it. Then it would make the picture at the end. Bob: So is this like a jigsaw puzzle that you’re making out of some kind of a picture of the family. Bob: We believe, by the way, in the power of lamination. When you laminate anything, it becomes a keepsake. Nobody can throw away anything that’s been laminated. Dennis: There you go—the power of lamination. Bob: You heard it here! 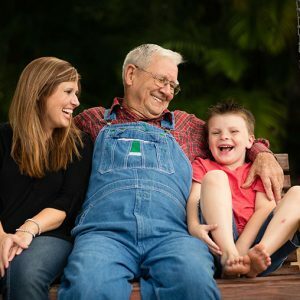 Dennis: I just want to remind our listeners where all these ideas are coming from—a book called The Grandparent Connection: 365 Ways to Connect with Your Grandchild’s Heart, written by both Mary and Nancy. —that’s a part of our assignment, as grandparents. Alright, what are you down to?—Number 2? Bob: Down to Number 2. Here is—in our Top 10 Ideas for grandparents, this is Number 2 [Drum roll]—Mary. Mary: But it is, when we look back on it. I think that’s something for us to realize. Bob: Grandparents are the guardians of the family history as well. I remember, before my mom died, my daughter sat down with the video camera and with my mom. We still have Grandma sharing the stories of what it was like when she was a little girl and what it was like with her grandparents. That’s one of those treasures that a family is delighted to have. It may be somebody that you’ve had a brush of greatness with, but it may just be sharing stories about when you were growing up. Dennis: Or it may be the celebration of something like we had with my mom’s parents, who were married for 50 years. I’ve still got the cake topper from that celebration from their 50th Golden Anniversary. Bob: You’re going to pull that out here, in a couple of years, and put it on the top of your cake? Dennis: Yes. I hadn’t thought about doing that. Dennis: But the point is: “Capture it on film.” It is interesting how images can be burned into a child’s mind and the values that surround that image be imbedded. I just remember deeply admiring and appreciating my grandparents for making it 50 years—and that was back when divorce was not much of an option and there wasn’t much divorce back then—but it still made a big impression upon me. Bob: We are down to our final idea—you ready? This is the Number 1 Idea for grandparents. [Fanfare] And it’s all yours, Nancy. —just different things that he and I do together or he would like to do—then he will be able to use the coupon book when I can use it / when I’m available to walk around again. Bob: You are planting seeds for future memories with him. Mary: Can I add a bonus one? Mary: Because I really did want to share about birthday letters—how that’s a fun thing for grandparents to do—to make a special letter on every birthday that your grandchild has. You can just try to capture, especially, what has happened in the last year. It may be some milestones that they’ve crossed / some things that have happened. Actually, that ends up being a history of their life when you have, at least, one for every year. And if you’re like me and you miss some, which I have—hey, at least, you have a lot of them—so you can just strive to do that. And that too—you can put lots of pictures / you can make it creative. It’s a fun thing to do. Bob: You know, we’ve gone through 11—maybe 12—you threw in a bonus too—so a dozen ideas. When you stop and think, there are 365 ideas in this book—I mean, there is a lot a grandparent can do. Bob: I just got a text from the Fructose Board—they said you did not mention sugar once in today’s program. [Laughter] They are rescinding your fructose award. Bob: We do have copies of The Grandparent Connection. Dennis: And we have gummy bears for sale too. Bob: No we don’t! Go to our website, FamilyLifeToday.com, if you’d like to order a copy of the book with all 365 Ways To Connect With Your Grandchild’s Heart. Bob: You can find the information about the book online at FamilyLifeToday.com; or you can call 1-800-“F” as in family, “L” as in life, and then the word, “TODAY.” And we can get a copy of the book sent to you. Dennis: I’ll look into the gummy bear offer. Dennis: Do you want to use a gambling term on that Bob? Bob: Well politicians are using “double down” all the time these days. Dennis: Well, I don’t care if it’s “double down” or “ante”—it is time for you, as a listener—if you’ve enjoyed FamilyLife Today / if it’s benefited you, and your marriage and family, and you want this to benefit others, as well as you, going forward—we need you to give. Bob: Here’s what’s happened—the $2 million matching-gift fund—some folks heard about it / they said, “Can we match funds as well?” So the fund has now grown, and it has become a $5 million matching-gift fund. We just have from now until New Year’s Eve to try to take full advantage of this generous offer from these friends. —it is something we do, together, as you give and you make this broadcast possible on relevant subjects like we’ve talked about this month. Bob, we’re all about equipping families to do marriage and family God’s way and to make an impact on our world. I think, as never before, we need families to be about the King’s business, here at Christmas. Bob: The exciting thing about this matching gift is that every dollar you donate is going to be matched with two dollars from the matching-gift fund. Dennis: So if you give $50, they’ll give $100—that makes your gift $150. Bob: Again, we’re hoping to take full advantage of this between now and the new year. Go to FamilyLifeToday.com if you can help with a yearend contribution online; or call 1-800-FL-TODAY to make your donation over the phone. Or mail your donation to FamilyLife Today at PO Box 7111, Little Rock, AR; and our zip code is 72223. Now, tomorrow, we are going to pay tribute to somebody we said goodbye to in 2015. This was the year we’ve said good bye to Elisabeth Elliott. Tomorrow, you’ll get a chance to hear Elisabeth and her husband, Lars, share about their love story. Dennis: This is not something you want to miss. Bob: This has to be one of the top programs that we’ve been a part of. Dennis: Bob and I have done over 5,000 programs together—I think it’s on both of our top five list. Bob: Yes, it is. I hope you can tune in tomorrow to hear that. Mary May Larmoyeux is a writer and editor for FamilyLife. 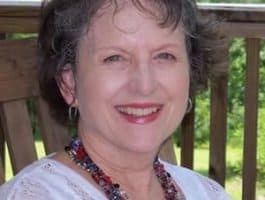 She is the author of several books including The Grandparent Connection: 365 Ways to Connect With Your Grandchild's Heart. Mary and her husband, Jim, have two married sons and a growing number of grandchildren. They live near Little Rock, Ark. 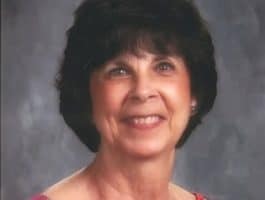 Nancy Downing has been named a USA Today Teacher of the Year. She is a special education teacher and the former Center Director of LearningRx in Little Rock, Arkansas. She has received local, state, and national recognition for her development of Downfeld Phonics, a multi-sensory reading program. She has three grown children and one grandchild.